If you believe everything you read Jeremy Corbyn is the anti-Christ. He’s the Bogey-Man hiding under the bed (dressed in red – obviously) waiting to destroy humanity as we know it. He’s outdated, a danger to the current civilised world and the free-thinking, fast-paced, free-market economy and all of the wealth that it provides. Whilst clearly, none of this is true, despite what the Daily Mail, Katie Hopkins and even Tony Blair will have you believe. One thing is for definite. Jeremy Corbyn has got some people very, very scared. Let’s hop back to 1997. Tony Blair’s New Labour swept to electoral victory following a string of defeats under the likes of Michael Foot and Neil Kinnock. Margaret Thatcher had changed the political landscape. Pure socialism or anything close to it was seen as outdated and unelectable. The free-market and capitalist thinking had won and had become generally accepted as how modern society worked. Blair had recognised this in opposition as party leader. For that victory in 1997 to happen, Labour had to change or face extinction. The question was how to stay a party of the left whilst being open to capitalist thinking. Step forward the “third way” and let’s not forget, despite Blair’s tarnished legacy, Labour achieved a great deal. New schools, hospitals, inner city regeneration programmes, future jobs fund etc. All principally Labour values yet mixed with a new openness to business, corporations and an acceptance of capitalist ideology. All was fine until, Iraq, Gordon Brown and Tony Blair’s falling out and the global financial crisis which caused chaos around the world and has left us with the austerity politics of the current times. OK, admittedly this is a simplified recounting of political and economic recent history but the point is that Blair’s New Labour fitted that particular moment in time. Back to 2015 and times are very different. Not that, the Tories, the right wing press and the global corporations would lead you to believe this. The fact is that capitalism, as we know it today, has failed. We live in this country and globally, more than ever, as the haves and the have-nots. Globally, the markets failed, crashed, banks went bust whilst the rest were bailed out by Governments. We paid for the mistakes of the bankers. You did and I did. Global institutions ran by the richest people on the planet and we kept them afloat. Have they paid us back? – No! Are they still the richest people on the planet? – Yes. What have we been left with? – Austerity. Cuts in essential services, the rise of foodbanks, the ruthless demonisation of the poorest and must vulnerable in society and for what? To protect the richest top 1 or 2% of the population, the banks with their ever increasing bonuses despite crippling whole countries through their own incompetence and the corporate giants who dodge tax and pay slave wages. Capitalism, as we know it today has failed, just as the old socialism had prior to Thatcher. Politicians have failed to protect us from this failure and have been complicit in accepting donations, turning a blind eye to tax avoidance and in the current climate of austerity continued to line their own pockets with huge pay rises whilst the rest of the public sector has had pay frozen or been closed down for good. Times are different and whilst the answer may not be a return to that old socialism of the 60’s, 70’s and early 80’s if what has happened in the likes of Greece and more closer to home, Scotland is anything to go by then there is a surge of anti-austerity feeling. There is a lack of trust in politicians. There is a ambivalence to the carefully selected suit, the pre-prepared sound-bite and the polished party-line. That’s why there has been a “Corbyn effect”. That’s why he stands out against the same old – same old of Cooper, Burnham and Kendall and that’s why the right and their press friends and corporate cronies are desperate to portray him as a relic, a dangerous lefty, a “friend of Bin Laden” and whatever else they can throw in his direction. 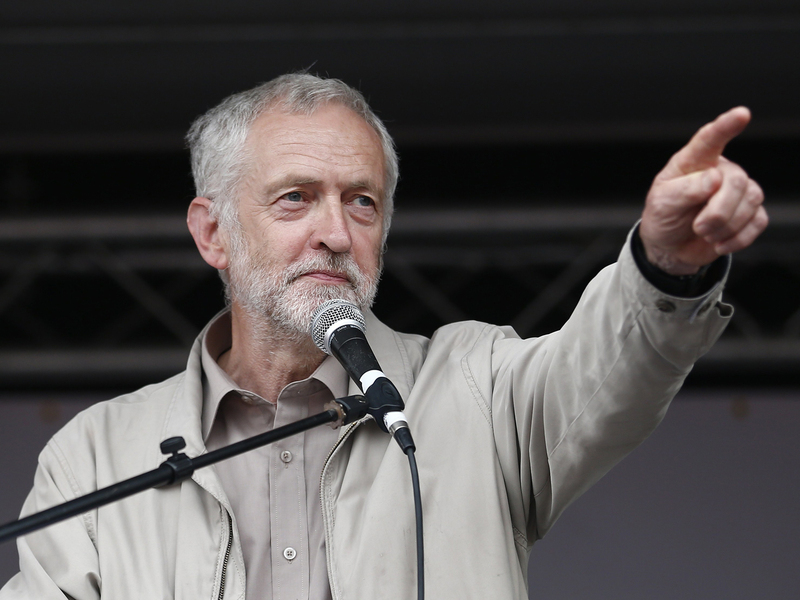 Should he win the Labour leadership election is he a likely election winner in 5 years time? Not necessarily perhaps, but it could be a timely last hurrah for anything approaching socialist, value driven, politics in England and Wales. The press will remain in opposition to him and the establishment figures won’t give him an easy ride, but if he can carry on what he has started, by being himself, embedding a new social agenda that can stand up against austerity, whilst credibly filling the vacuum where capitalism has failed. Then, maybe, just maybe, with that traditional left-leaning, grass roots support that fell for UKIP, the Lib Dems or simply can’t help but fall for the media spin of “the one you like but can’t win” – just maybe he can pull off one of the most dramatic political sea-changes ever brought about in UK political history. It may be a tall order, but not impossible. I for one will be willing him on.